Big Days Out! Diwrnodau Mawr Allan! The North Wales CYRC series has come to an end for this year. General Handicap To include all 3 Laser sail sizes and any RYA recognised classes which is not included below; Please note RYA Youth and junior classes with 6 or more entries will have a class start. Windsurf Racing will take place in the following classes: Up to 5.5m and over 5.5m (max.7.8m) each class refers to the maximum sail size which can be used. Smaller sails can be used, especially in windy conditions. Any board and rig can be used in the 3.5m, 4.5m and 5.5m classes, although sailors are encouraged to use a Techno 293d. All boards should have a daggerboard or central fin. Board length should measure 320cm or less in the smaller sail size class. Anyone sailing a 3.5msail; small diameter masts & booms should ideally be used with junior sails. Topper Fleets To Provide racing for all Topper class, including Topper 4.2 Sailors. Separate prizes/ fleets may be awarded/ run for Gold and Silver, Training and 4.2 fleets dependant on numbers. Topper Gold Racing for GBR, Welsh National Squad Sailors or those Top Regional Squad Sailors aspiring to gain a place in next year’s Welsh National Squad. Topper Silver Racing for the Regional Squad Sailors or those aspiring to gain a place in next year’s Regional Squad. Topper Training Racing &Training provided for less experienced sailors. Those taking part in their first few events or not yet ready for main fleet racing.Those who have come from the RYA OnBoard scheme with 6wks experience. Optimist Fleets To Provide racing for all Optimist class, including Optibats. Separate prizes/ fleets may be awarded/ run for Gold and Silver, Training and Optibat fleets dependant on numbers. Optimist Gold Racing for GBR, Welsh National Squad Sailors or those Top Regional Squad Sailors aspiring to gain a place in next year’s Welsh National Squad. Optimist Silver Racing for the Regional Squad Sailors or those aspiring to gain a place in next year’s Regional Squad. 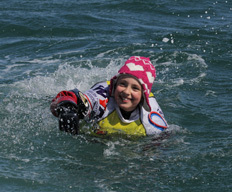 Optimist Training (including Optibats) Racing &Training provided for less experienced sailors. Those taking part in their first few events or not yet ready for main fleet racing.Those who have come from the RYA OnBoard scheme with 6wks experience. Gold and Silver fleets will be scored together to enable sailors to monitor their progress. The training fleets may sail a different course to the Gold and Silver fleet.